Hello, I posted one of these on Aerodrome with a similar query and got no joy. My original question was, we're all familiar with the German made Turkish pilots badges, but what do we know about the Turkish made ones? For example, what does the Koranic/Islamic script on the front of this Turkish made badge translate to? It is the same character on the front of the Gallipoli Star, so I believe it to be pre-1918. But I know of this varaition which has a completely different cartouche, and a smaller enamelled character. Any thoughts on what the difference signifies? Could this be a transitional piece? Helmut Weitze told me he thinks it is a secularised Kemal Ataturk period pilot's badge, but that is only a guess. Any thoughts? Any Islamic scholars? I know that Hptm Buddecke received a special Turkish pilot badge, but I haven't seen a photo. Concerning this pilot badge, I have seen it before to Andreas thies auction and now one more at Weitze's website. This is uncommun but very nice. Do you buy it ? Is so can you put another photo please. Thanks a lot. I've never been closer to one than looking at WW1 photos-- and those always had an oval Tughra up top. Never saw this rayed type. Then again, virtually every Turkish badge I've seen has been unique unto itself, so if anybody knows what an "official" one looked like, it's not me. Tim Tezer would be the only person I know with the expertise in the range of Turkish awards to have any idea. I, too, would guess the second as a post-WWI Republican award. The iconography is right for that. But Rick is -- of course -- right, ask Tim, only he would know. Thanks, Rick, Ed. The oval Tughra I've always understood to be the German design, sold in Germany after the war. I believe badges presented in theatre were of Turkish design and manufacture, with the enamel tughra. The only other one I've handled was sold to Peter "Wing Nut" Jackson by a Canadian dealer along with a fez. I can't remember where I know Tim Tezer from. I hope he looks in. NOW I remember...Tim works for Butterfield's...he held my hand when I bought a group there a few years ago...a knowledgeable, helpful guy! I emailed him...Thanks for the tip. Thanks for all your kind words about me. This really is a gentleman's forum, isn't it?!! Ahem... well, there are a lot of questions here, so I'll try to be brief. As far as I know these badges are custom made German wearing copies. The word "custom" is important here, because what I mean is that they are probably not off-the-shelf examples. Including the two pictured here, I have seen exactly three badges using white enameled inserts at the top. They are all different. These two have a distinct rayed star pattern at the top, indicating that they may be from the same maker. The other I have seen, which is in a private collection in San Francisco, has the usual oval shaped cartouche at the top, but in white enamel with a gold tughra. The tughra - the Sultan's monogram - is what the calligraphy on the insert at the top is. In the case shown here, as is typically seen on German made badges, the tughra is actually not depicted correctly. That's actually helpful for collectors, because it allows us to differentiate between the Turkish and German made piecees. Most of the badges you see are German made, and the ones that are believed to have been Turkish made are unmarked, making it hard to prove their origin. But there are some out there where the monogram is not just a lot of sworls and decorative mush - they are an actual calligraphic signature of the Sultan, with real Ottoman Turkish words hidden in their design. But there's something else going on here, as well. The wings on the second badge are canted the opposite direction from normal. The only pilot I know of who wore a badge of that configuration was Buddecke. Could this be his badge? If that's the case, it certainly rules out the "early Turkish Republic" pilot badge theory. If there was an early Republic (post-1923, pre-WW2) pilot badge, I haven't seen one. Welcome, Tim! It's good to talk to you again after these years! Butterfield's keeps sending me gun catalogs...I thought with all your influence and expertise we'd be up to an aviation auction every quarter! Thanks for your comments. I'm thinking now I've NEVER seen an actual Turkish made badge. In your email to me you called these badges "Luxusanfertigung", which is exactly the term Helmut used, only its meaning passed right over my head. Do you view these as simply "extra purchase" or were they used as presentation pieces? There were not "Luxus" versions of other flying badges offered by German mfrs. to my knowledge, esp. that so radically changed the design, so it is a strange notion to me. But I do have a cigarette box, I'm thinking as I write this, that has an observer badge that is three times as detailed as your typical Juncker. I'll photograph it when I get my digital camera back. The "Buddecke" badge with the wing canted in the other direction is in an oldtimer's collection out east. By "collection", I mean he has a bunch of wings he got together from a vet in the 1930s and glued them onto a big card. In fact, he busted the pins of several so they would glue easier. Thankfully this badge is undamaged. I think he wants an RV trailer home in trade so I'm going to have to work on him! very interesting thread to follow. but i think i have to throw a question in, even if i know, that it wouldn't solve any unanswered questions. if those are stated as german made examples - how the juwelier knew how the badge have to look like? and wouldn't be the price very high, to produce only a few of those badges? did the german pilots get a certificate and how did they get awarded those badges? 1. The German tughra is incorrect. 2. The Turkish badges are "unmarked". 3. Some Turkish made tughras are mush...some fine enough to conceal words. Do you mean the Turkish badges are unhallmarked? But most of the German badges are unhallmarked, too. I have only seen a few Meybauers. And if German and Turkish tughras both are problematic, I'm still fuzzy on how you can tell `em apart. Do these differences also apply to German vs Turkish Gallipoli Stars? Do you have any pix of Turkish made flying badges? Aren't you glad you joined? As for Buddecke, here's a pic of him wearing a standard German made Turkish pilot, courtesy of http://www.buddecke.de/. 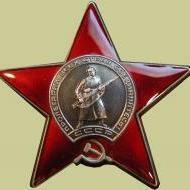 If you go to this site, you'll see a Sanke of him with Prussian pilot's badge, and another photo of him in Turkish rig walking down steps with the badge above. Can someone post the famous Sanke of him in fez and badge with enamel tughra to illustrate what Tim was saying? Hey guys, new to the forum and saw your thread about the Turkish Pilot Badge. Here is a pic of the Buddecke Sanke card. Note the LARGE white oval w/signature and the Low left to upper right angled wing also note the same angle to the Wing on the Hat. That gives us a third variation to the two above. Therefore the badge with the small enamel Tughra could not be attributed to Buddecke unless he had a box full of badges, it looks like we've spotted him wearing 3 different wings. No photos of Turks wearing these Turkish badges? Does German wearing practice (which, as we know, was strange) tell us anything as to how these badges were supposed to be worn? With all due Reverence to Herr Stogie, maybe that shiny spot is a very teensie UFO or a patch of swamp gas that landed on Buddecke's badge as the photo was snapped! To my bloodshot eyes this is clearly round and the other commoner style is oval. The only enamel I ever handled was at the OMSA convention 2 years ago at the Andreas Thies table,which was probably the Forman Badge that John now has. I'll stand by the "White Enamel" on the Sanke card. Sorry I've been away from the forum for a while. I'll try to catch up. Unfortunately, I don't have a Turkish made badge in my own collection. The one I have is bronze gilt with silvered wings and oval at top (most of the silvering is gone). It's unmarked, but I believe it was made by Glaser & Sohne of Dresden, as I have seen a Zeppelin badge marked with their name that uses an identical pin and catch combination. I don't think Glaser was an official maker of the Zep badge, but the fact that I only saw one with their mark leads me to think that it's not just some fake being pumped onto the market. Regarding Christian's questions, I think that a German jeweler of that time could have made a badge from a drawing of a Turkish badge, or an original of the badge, or whatever. Jewelers are very resourceful. There is a widely held belief in collectors' circles that making a very small number of badges or medals, or even enameled orders, was prohibitively expensive. In my opinion, that is a complete myth. It is a good way to protect yourself as a collector, by labeling anything that is custom made or doesn't fit the exact pattern of a known official die strike, as a copy. That way, you if you don't buy a copy, you will not have to worry about when the copy was made or whether it was actually owned by a legitimate recipient. It's safe. But the fact is that there were many copies that were made, sold and worn during the actual time period of these awards. However, this is getting into a whole separate discussion. There were, to my knowledge, no award documents for the Turkish pilot badge. There may have been some kind of letters of authorization that a German pilot would have to obtain before he could wear one in uniform, but the Turks had no official document for the award. Just to clarify on the tughra questions - most Turkish collectors use the "legibility" of the tughra as an indicator of whether something is Turkish made or a German copy. This does apply to Turkish War Medals as well as pilot badges. The tughra on the pilot badge is very small, but even at that small size the differences are often readily apparent. A German maker would not have been likely to study every line and sworl in the pattern and try to duplicate it exactly. A Turkish maker would have. Although the Turkish badges were not believed to have been struck by the Ottoman mint, they might have been made by Kirkdjian Freres, Constantinople. That firm was basically a subcontractor and court jeweler for the Ottoman government, and would have made very detailed, high quality pieces. I have one picture to offer, which may be helpful. It's from a Hermann Hisorica sale a few years back, and shows a group to a pilot named Von Schlichting. Although I have never seen this group first-hand, I believe the pilot badge shown may be a Turkish made piece. Note the very narrow wings. If you look at the pictures of Buddecke and just about any other pre-1918 photo of German pilots wearing the Turkish badge, you'll see that most of them have these very thin wings. But badges with that wing style are very rare on the collectors market. The reason: most of the badges available were made in Germany, many after the war. Unfortunately, there are probably a great number of badges on the market that were made within the last 10 or 15 years. Back in 1981 I got some very poor xeroxes of a complete group (including photos of photos and medal bar etc) from a Califormia collector of a Brunswick NCO-slash-Turkish-Lieutenant with such a document among ALL his WW1 papers. It appears to be the-then "mimeograph" type, with details inked in and stamped, all in Turkish. It shows the badge exactly just as shown above-- oval cartouche with tughra on top, and thin wings angled left up right down precisely like the badge Tim just posted. Quality of the antique xeroxes is poor and I don't want to post Lord-knows-who-owns-it-now stuff without permission. The pilot's name was Richard Ilmer, if anyone knows where this group is 24 years later. Why is the medalbar of von Schlichting mounted that way? Or is it a Frackbar and he was Mecklenburger? German personnel "taken over" into the Ottoman forces often wore their awards that way during the war, because they were "Turkish." if he was in turkish service while he got his medalbar made its the "official" way! the narrow winged badge is very nice - never seen one before! so if we state this as turkish made, does someone have a picture of one in wear? For the record, I have nothing to do with the auction and my interest is purely academic. Altho' I can't see the maker's mark, it looks just like my Meybauer. I vote it's "good", but keep in mind Stogie's comments, that these Turkish badges turn up constantly. Who knows when they were all made?